The index opened positive but went below the dotted line within the first few minutes. The index then stayed in a narrow range but saw huge selling pressure in the afternoon to close just above 7600 at 7623.20, the biggest loss of 163.95 points for the year. The broader market was also very weak, with 222 advances to 1359 declines. Broader range for July series comes at 7500-8000. Call option 7600-8200 added 27.63 lacs huge amount of OI with small short covering seen at 7400 and below strike prices. Put option 7600-7200 added 16.91 lacs huge amount of OI with short covering seen at 7700 and above strike prices. Nifty Open Interest is at 1,37,15,950 down by 6,43,200, with decrease in price, most probably huge long liquidation. 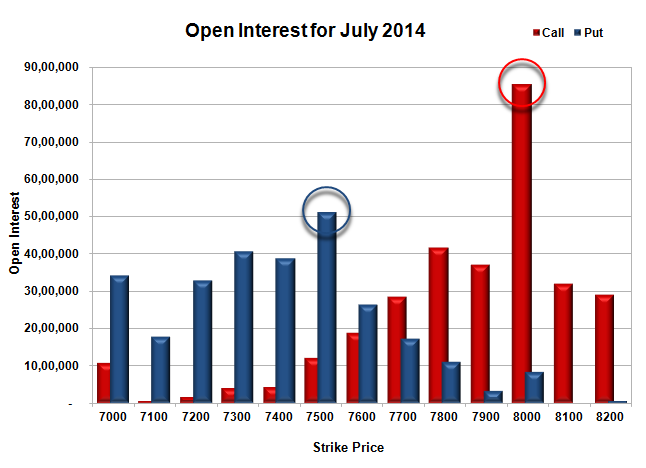 Bank Nifty Open Interest is at 23,01,725 up by 34,300, with decrease in price, most probably short build-up. FII’s sold huge 7.09 lacs Futures, which includes 6174 long liquidation and 7999 short addition, with net OI increased by 1825 contracts (includes 47005 longs to 61178 shorts for the day) and the average price per contract comes to around 7626.94. FII’s Index future open contract as on date is 183673 Longs to 128855 Shorts. PCR Open Interest (Volume) is at the lowest of the series at 0.840. Initial support at 7600, with OI of 26.50 lacs and best at 7500 with OI of 51.00 lacs. 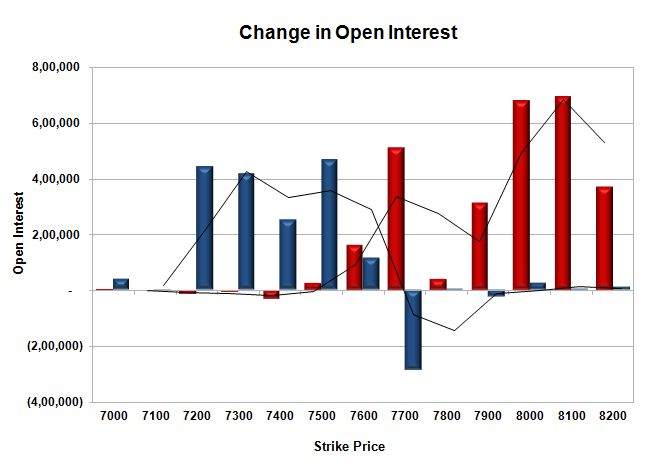 Initial resistance now at 7700, with OI of 28.48 lacs and best at 8000 with highest OI of 85.56 lacs. 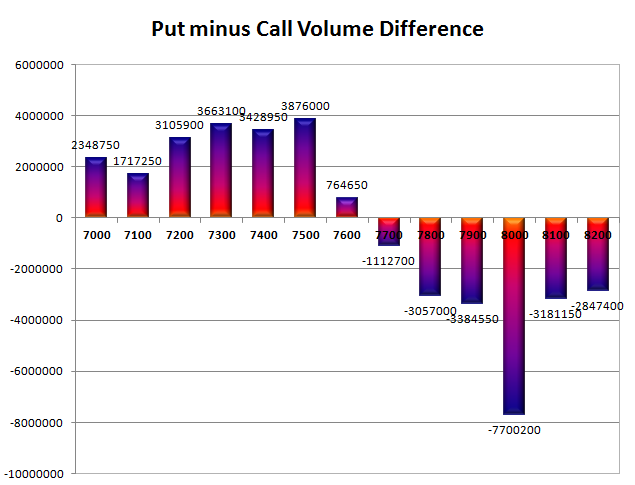 Day Range as per Option Table is 7593 - 7731 and as per VIX is 7547 - 7700 with 7676 as the Pivot.